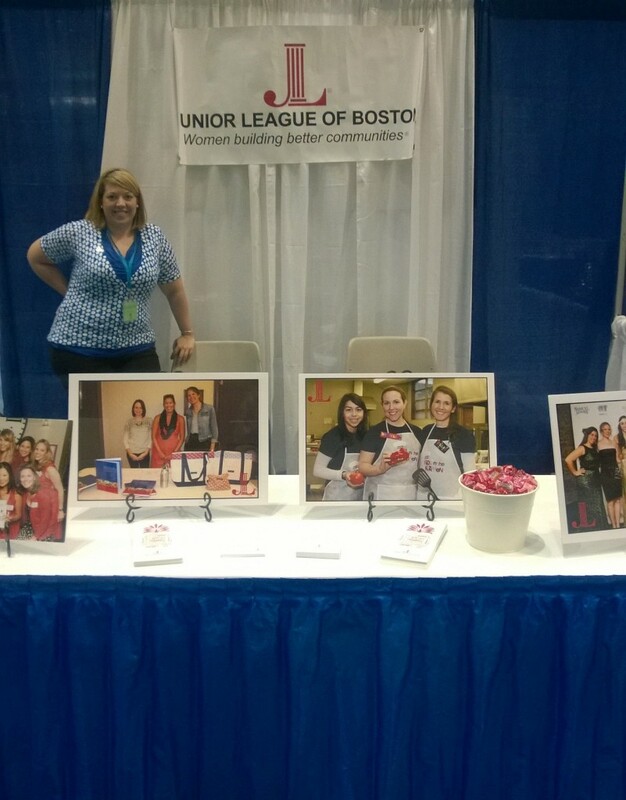 JL Boston at the Massachusetts Conference for Women - The Junior League of Boston, Inc. 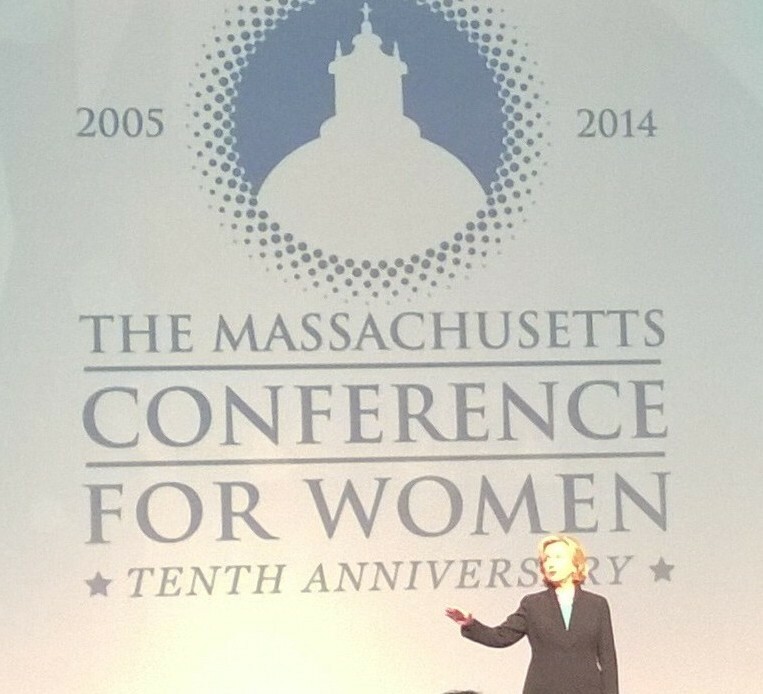 TEN THOUSAND women attended the Massachusetts Conference for Women on Thursday, December 4, 2014 at the Boston Convention Center. Attendees enjoyed workshops promoting networking with other talented New England women and which highlighted topics that matter most to women – personal finance, business, entrepreneurship, health, life-balance, and more. Keynote speakers at the breakfast and luncheon include philanthropist Tory Burch, Life is Good’s John Jacobs, Academy Award winner Lupita Nyong’o, and former Secretary of State Hillary Rodham Clinton, who shared their words of wisdom to a captivated crowd. Hundreds of exhibitors promoted their organizations, including the Junior League of Boston who introduced the League to the perfect target demographic – women creating better tomorrows. The booth was busy with visitors all day. Many women actively sought our display to learn more about the League and how to join. Several Provisionals (new members), Actives (members who have completed their Provisional year) and Sustainers (longtime members) stopped by to say hello after seeing our posts on social media. In additional to JL Boston members, we had visitors from Rhode Island and Worcester that stopped by to introduce themselves. Several community leaders and agencies made the effort to connect with us as well. 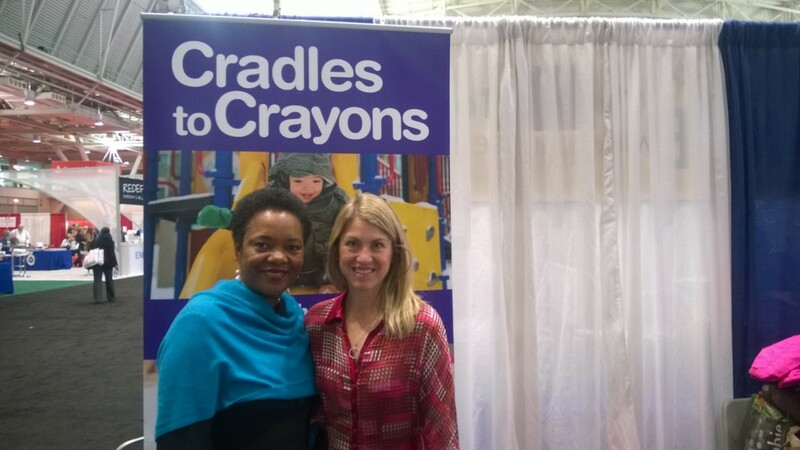 Some visitors were existing partners like Sharon Reilly, Executive Director of Cradles to Crayons, and others represented potential future partnerships. It was rewarding to learn about the incredible efforts other organizations are making in our community and in particular it was wonderful to hear the positive impact of our existing partnerships. Many booth visitors asked us about when we would be holding the next JL Boston Show House. Others shared their support of community service projects like “Kids in the Kitchen” and “JL Boston Arts”. Our booth volunteers – Audra Dainora, Valerie Pontiff, Lindsay Callahan, Shannan Adler, Shannon Patterson, and Vanessa Driscoll – explained our mission and dedication to promoting the wellness of girls in our community, and highlighted the opportunities for training, developing new skills, friendship and supporting the greater Boston area.